zu betrachten wären und daher von jedermann benutzt werden dürften. Übersetzer übernehmen keine juristische Verantwortung oder irgendeine Haftung für evtl. verbliebene fehlerhafte Angaben und deren Folgen. consequences resulting from their business activities. organizations but also by individual consumer and governments. ecological concerns of all those who are affected by a company's business practices. century ­ to eradicate poverty. 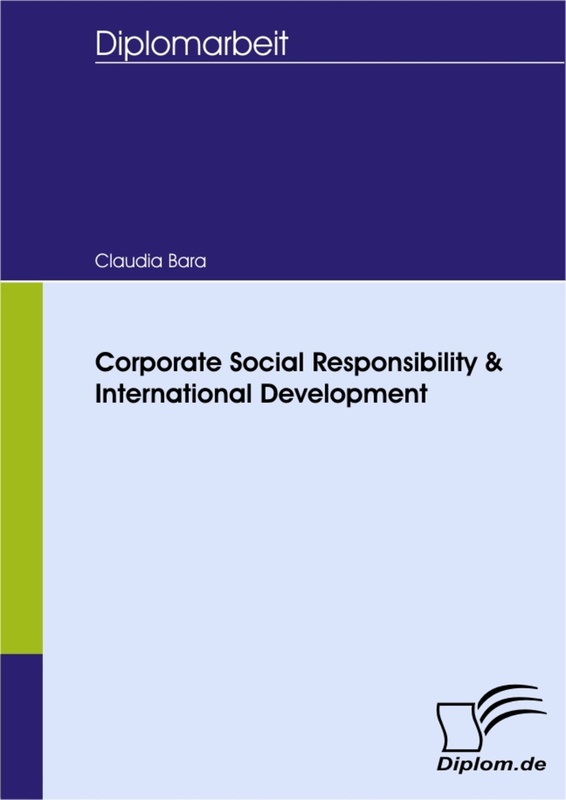 issues of CSR and the incorporation of this concept into the strategic management process. elaborated that help to support and create public awareness about social causes. well as in areas where problems occur. bility of business is to increase its profit"
the invisible hand acts, as intented, to produce the common good. involved in the business process. guarantees profitability and economic wealth for the corporation to survive and to grow. Value Based Management.net: Shareholder Value vs. Stakeholders. would pay more per share if companies are well-governed. ensure a long-term sustainable performance. including shareholders often converge as both have an interest that the company is thriving. value is best achieved by focusing on maximizing the value for multiple stakeholders. order to fulfill the expectations of their key stakeholders. Coombes, P. and Watson, M., 2000. Three surveys on corporate governance. The McKinsey Quaterly. Donaldson, T., 2005. Defining the value of doing good business. FT Mastering Corporate Governance. The debate about the social responsibility of businesses towards society is not a new one. was that the only responsibility of corporations is to maximize profits for its investors. and without engaging in deception or fraud. regulatory policies on business operations. have the obligation to respond to social impacts. ethical and discretionary (philantropic) responsibilities as well. are not seen as responsibilities but rather as societal expectations. end of the 1980s, big businesses were put into the spotlight of the entire world. less regulatory restrictions on multinational business practices, raised public criticism. to change their business behavior and to demonstrate their social responsibility. responsive in order to measure the performance of corporation's social contributions. and responses to changing societal demands. Hopkins, M., 2007. 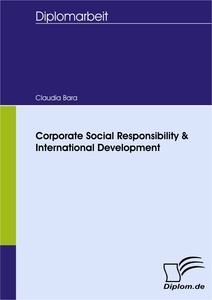 Corporate Social Responsibility & International Development. London: Earthscan, pp. development and green consumersim were brought to the mainstream. consequences of today's activities, and global co-operation to reach viable solution"
term success of a business. approach which is an integrated framework to achieve CSR and sustainable development. sustainable development, social and economic justice (see also WSF in appendix 2). business units are involved in supporting issues. only maintained if companies incorporate sustainable practices into their strategy. among corporations and the public. world and suppression of human rights. countries often lack the access to free trade zones. globalization and those who are being left behind. in the world are Singapure and Hong Kong. Bangladesh, Turkey, China, Brazil, Venezuela, Indonesia, Algeria, India and Iran. BMW Group. Company Portrait: Strategy. Available from: http://www.bmwgroup.com/e/nav/index. and they continue to grow vigorously. foreign direct investments and protfolio inflows. The World Bank, 2008. Global Economic Prospects 2008: Technology Diffusion in the Developing World. approaches in their business strategy. have been the main culprits to climate change and global warming. ability to adapt to global warming and it presents strategies for reducing carbon emissions. cut by 50-85% by 2050. World Climate Report. World Climate Report. The Web's Longest-Running Climate Change Blog. developing countries. However, the demand for sustainability varies among countries. resulting from its vastly growing economy. incorporating responsible business practices into the way corporations operate. regulatory framework for corporate governance. OECD, 2004. The OECD Principles of Corporate Governance. OECD Policy Brief. France: OECD. The following figure shows main stakeholders of a firm. Recklies, D., 2001. Stakeholder Management: The Concept of Stakeholder Management. Themanager.org. company and hence secures employment. influence by threatening to sell shares, thus making the company vulnerable to takeovers. as they are the ones who make the final decisions. employees and investors also customers, suppliers, business partners and lenders of money. about good corporate governance and corporate citizenship records.